In 1988 Rayna Kirikino, along with her husband and two year old daughter arrived in Darwin from New Zealand for a holiday. They fell in love with Darwin’s lifestyle. The genuine down to earth people and the many great opportunities that living in Darwin could provide their family. Many years and two more children later, Rayna is till excited to call Darwin home. During 15 years’ experience within the hospitality industry, Rayna developed a strong knowledge and experience in people skills, leadership, communication, negotiation, time management, respect for privacy and common courtesy. It was these great skills that have seen Rayna become one of the most successful and respected rural specialist in Darwin and its surrounds. Rayna began her career in Real Estate in 2005. 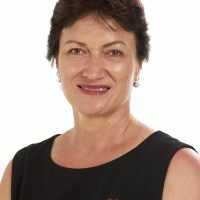 She started with Elders Real Estate in 2008 and believes Elders to be one of the strong ethical Real Estate companies in Darwin. She is very proud to say that she works alongside some of the most highly respected experienced sales agents in the Northern Territory. Rayna is very excited to have the opportunity to work with her daughter Moana. They are very passionate about their family and about the people who entrust in them to sell their properties. They have a great understanding about the local market and bout their clients expectations and will endeavour to make the sale of your property as easy and stress free as possible. Would you like to speak to Rayna? If you’re thinking about renting or selling your property and you’d like a clearer picture of how much your property might be worth or want to have an informal chat about general property market trading conditions, Rayna will be happy to arrange a full market appraisal of your property.